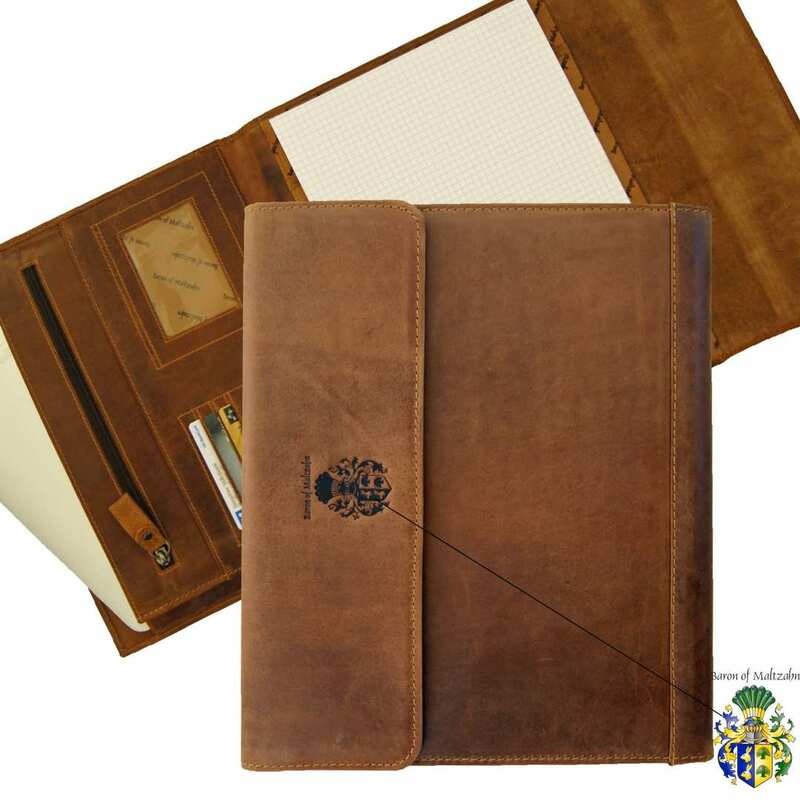 Product information "Conference folder DUERER of brown leather"
With the first class conference folder ALBRECHT DUERER made of authentic grassland leather you will be always well prepared and your things elegantly arranged. Are you looking for an attractive case that provides enough space for all your office items? By carrying the leather conference folder you will be optimally equipped for the daily business life. This case made of soft leather convinces by its high grade processing and the smooth and scentful material and the brown color of the surface. 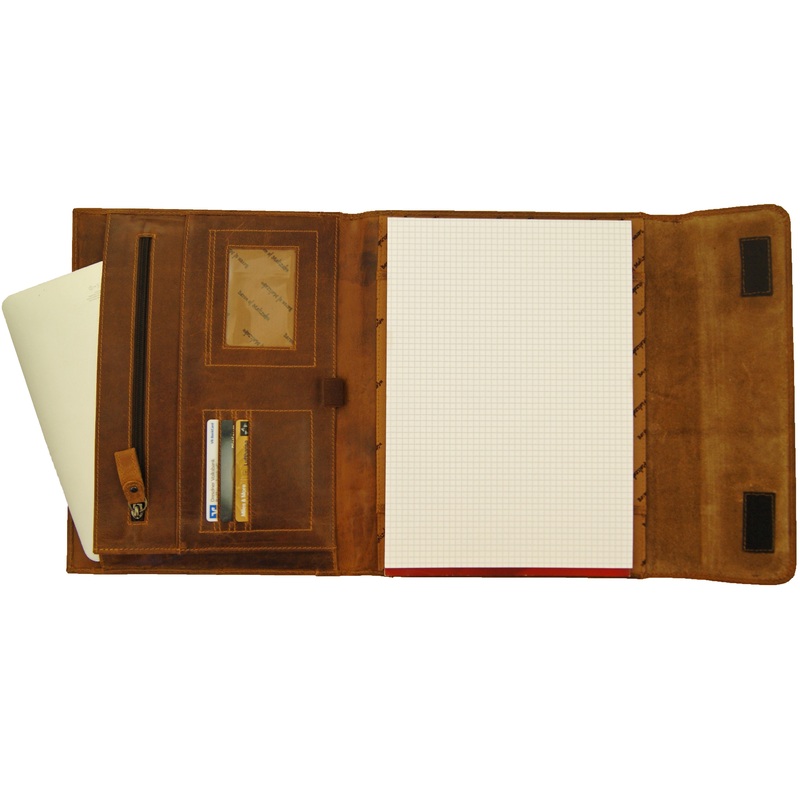 The impression of this writing case is fantastic thanks to the natural brown grassland leather. 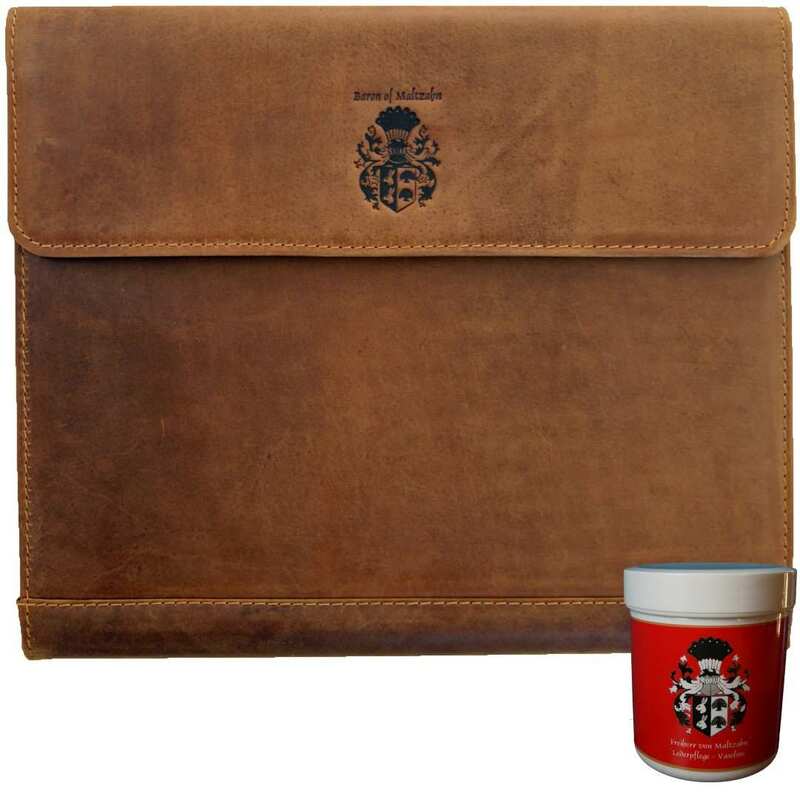 In this case you will find space for a notebook, pens, visit cards and a tablet computer, for example. 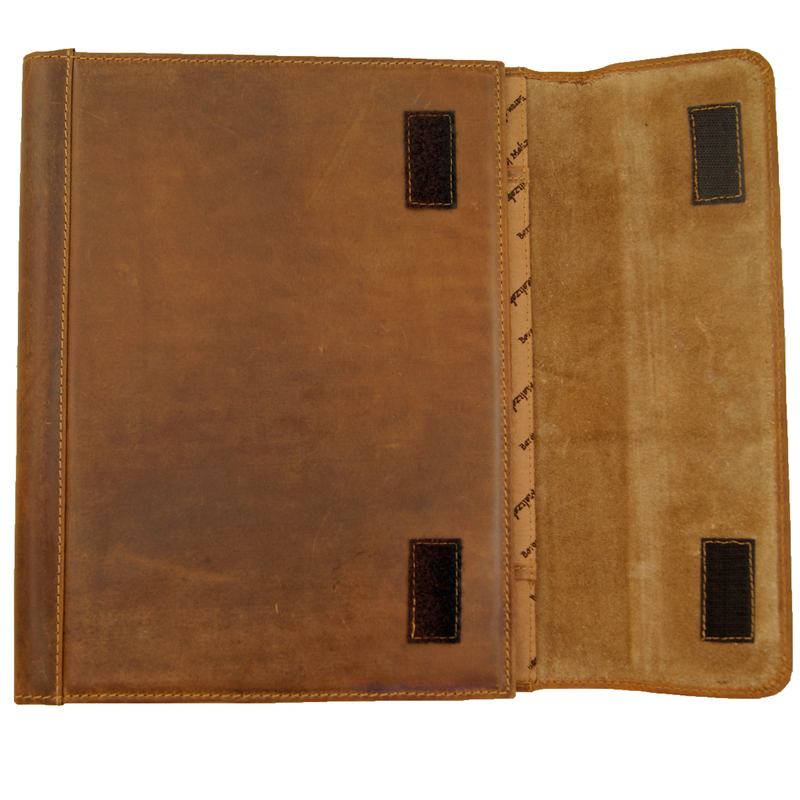 The conference folder of grassland leather is something you can carry every time and on all occasions. It suits all clothing styles and is at the same time very discreet. It is ideal for the daily business life and for your leisure time as well. Whether on elegant acts or to sporting events, you will never be out of place! The writing case of grassland leather is adequate both for right- and left-handed persons and is designed in a letter format (A4). 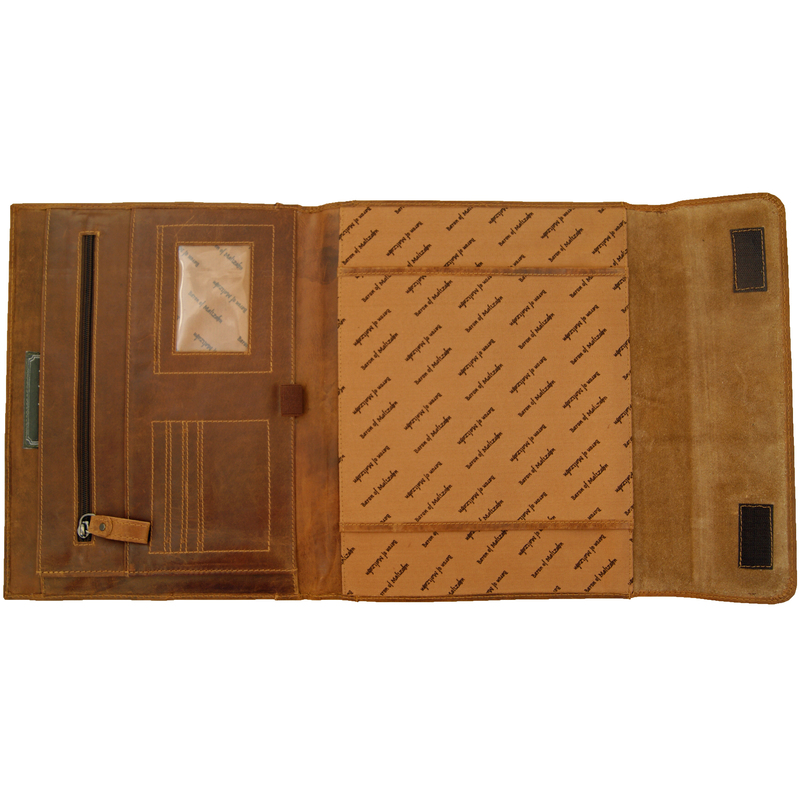 The case has a size of 12.6 x 10.6 x 1.6 in (32x27x4 cm) and is provided with an extra compartment for a notebook in letter format (A4), a pen loop, three visit card holders and one compartment for photographs. The writing case made of grassland leather has a first class appearance and lots of space for your essential belongings. 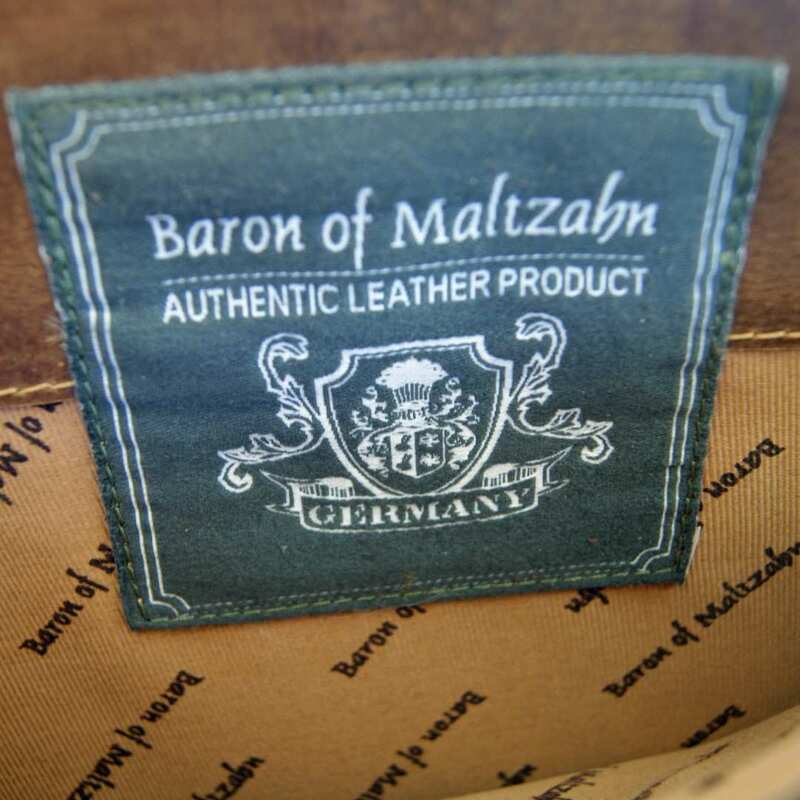 It belongs to the noble Collection BARON of MALTZAHN. The high quality of this conference folder contributes to its long lasting durability and its easy care. The practical letter format (A4) makes it perfect for the daily life and makes all items be easily well arranged. Order now and catch all glances! Reviews for "Conference folder DUERER of brown leather"